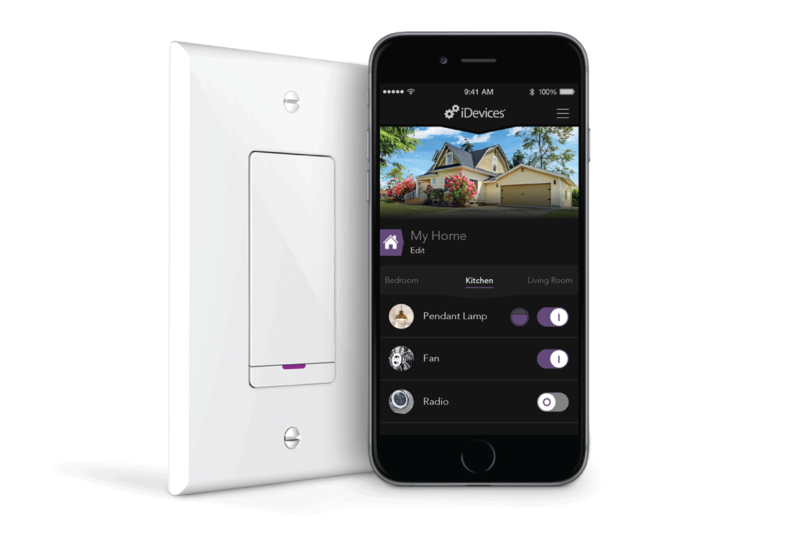 iDevices®, the preeminent brand in the connected home industry, introduces Instant Switch™, a remote wireless, Bluetooth® Smart wall switch that allows users to designate additional points of power control anywhere in the home, with no installation or wiring required. 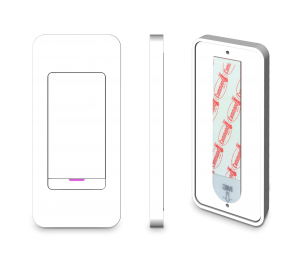 Instant Switch’s patent pending design secures flush to any wall like a traditional light switch and, through Bluetooth technology, pairs to any iDevices power and lighting smart home product to offer users unlimited flexibility and extended control of their home, with Android™, Alexa-enabled and HomeKit™-compatible functionality. Builders and contractors are no longer limited to the light switches installed in a home, users can instead place Instant Switch anywhere, without the usual construction, wire-running, or electrical installation. Designed to mimic a permanently installed light switch, Instant Switch can be fitted over any standard two-screw wall plate and comes with an iDevices wall plate for added convenience. Stick-on, Command™ adhesive backing makes it possible to mount the Instant Switch with just a peel-and-stick to the wall. A built-in ball level ensures perfect placement and the batteries have a two-year lifespan. When Instant Switch is paired to a hard-wired iDevices Wall or Dimmer Switch, it creates an instant 3-way control configuration. Users can add an Instant Switch wherever they’ve always wanted to have a standard wall switch. One by the bedside can control lights on the first floor or one can be added to a room with no switches at all. The possibilities are endless and now anyone in a home can control connected products. This product is especially great for older homes where wiring/installation may be difficult when trying to create 3 or 4 way switches.